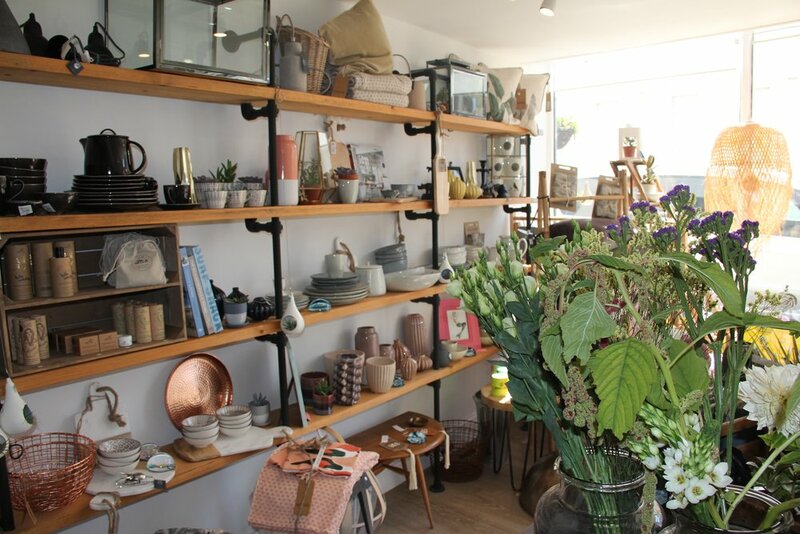 Offshore Blooms is a fantastic florist and homewares store in Braunton, North Devon - a gorgeous and inspiring part of the South West coast. Owner Kelly studied fashion design and worked in display for many years. With this creative background she became interested in flowers - and the rest as they say is history. Kelly offers a bespoke, friendly and personal floristry service that is innovative and honest. Kelly will always try to work with seasonal flowers as it is better for the environment and more cost effective for the customer. From small intimate weddings and events to great big flamboyant affairs, whether you need to cheer up a friend or transform a room, Offshore Blooms is on hand to help. And if it is a room you would like to transform, then the homewares Offshore have on offer are definitely going to help. A gorgeous collection of carefully curated and unusual pieces to revive a space, put a smile on your face and make your home as unique as you. Browse our online store or pop into the shop in person. The homewares surrounded by beautiful fresh flowers will cheer up the dreariest of days. If you're in the area pop by to say hi . Address on the contact page. We have lots of beautiful homewares on line and even more in store. We're proud to uncover artists, designers and crafts people locally and further afield. Gorgeous fresh flowers are ready to greet you in the shop every day.